Why was the Green Beret really killed by his Navy Seal colleagues in Mali? Will his murder trigger an investigation of the illegal US military mission? Unfortunately, that fictitious trope is suspiciously close to reality in the strangulation death of Sgt. Logan Melgar, a green beret who was found dead back in June while he was participating in a special forces mission in Mali, where a cohort of US military “advisers” have been assisting French and local forces in rooting out terrorist groups affiliated with the Islamic State and Al Qaeda. According to the Daily Beast, military investigators now suspect that two of Melgar’s colleagues who were members of the elite Navy SEAL team six murdered him after he discovered they were illegally skimming money from a fund used to pay informants. The SEALS offered to cut him in, but Melgar declined, according to the Daily Beast’s sources. A few days later, he was found dead. Nobody knows – or at least nobody would tell the DB – what specifically started the June 4 altercation at 5 am. But the fight quickly escalated and ended with Melgar losing consciousness. He also stopped breathing. The SEALs attempted to open an airway in Melgar’s throat, officials said. It is unknown whether Melgar died immediately. The SEALs and another Green Beret, according to former AFRICOM officials, drove to a nearby French clinic seeking help. Melgar was dead when he arrived at the clinic, the official said. Asphyxiation was the cause of death. While his death was initially ruled an accident, NCIS investigators now suspect that he was strangled to death. Melgar had been working directly with the SEALs during the intelligence mission in Mali. The fact that the SEALs apparently did such a poor job of covering their tracks has greatly aided investigators. With Melgar dead, an apparent panic set in. The SEALs told superiors that Melgar was drunk during so-called combatives—that is, hand-to-hand fighting exercises – and that he was becoming dangerously violent. However, Petty Officer Anthony E. DeDolph, one of the SEALs, was a mixed-martial arts pro. A source told The Daily Beast the SEALs filed at least one operational report about the incident and possibly two. At least one of the reports included an account that Melgar was drunk. At least one Africa Command official said Brig. Gen. Donald Bolduc, then commander of Special Operations Command-Africa, was skeptical of the initial reports of Melgar’s death from the outset. 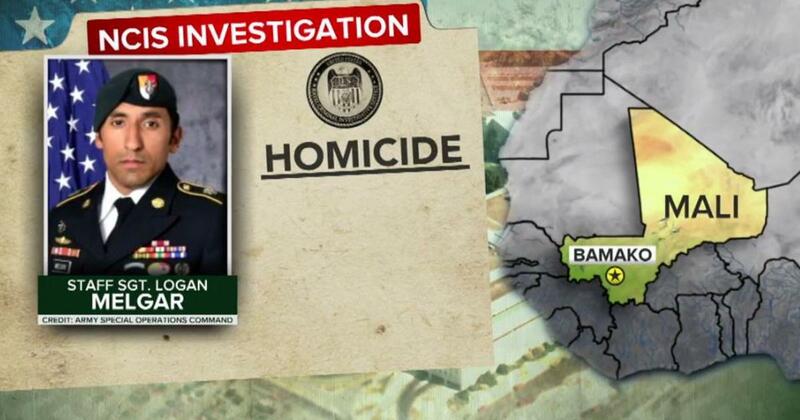 He alerted Army Criminal Investigation Command and told commanders in Mali to preserve evidence. Melgar’s wife, Michelle, was also suspicious. She raised concerns about the cause of death and allegations of drinking, including providing investigators emails sent by her husband about problems he was having with the SEALs. But perhaps the most disturbing detail provided by Michelle Melgar was the account of a phone call she shared with her late husband just days before his death. Melgar told his wife that he had a bad feeling about two of his SEAL team partners. Not wanting to say much more, Melgar said he’d fill Michelle in on the rest of the story when he got back home. Military officials interviewed by the DB were hard-pressed to come up with another example of elite US special forces troops turning on each other like this. Just 34 years old when he died, Melgar, a Texan, was an Afghanistan veteran twice over. His hometown paper, the Lubbock Avalanche-Journal, reported that Melgar was a 2006 graduate of Texas Tech. He enlisted in 2012 and joined the Army as an 18X – an off-the-street Special Forces recruit. He graduated from the Special Forces Qualification course in 2016. As the Daily Beast explains, the US has a “minimal” troop presence in Mali – much smaller than the 800 troops in neighboring Niger, another West African nation that hosts a sizable special operations cadre. The special operations forces “advisers” aid US diplomats, Malian soldiers and their French partners in gathering intelligence on a confluence of capable local militants trending Islamist. As the elite troops do in so many countries, they operate in the shadows, with comparatively little oversight – and what their actions actually look like on the ground can be much dirtier than the heroic image the Pentagon prefers to portray. Of course, Melgar’s death isn’t the only suspicious death of a green beret in Africa this year. Last month, four green berets were killed in Niger after reportedly being ambushed by Al Qaeda-affiliated militants. After lawmakers and the soldiers’ families demanded more information on exactly what happened, it was revealed a few days ago that the body of Sgt. La David Johnson was discovered in a state suggesting he had been captured and then executed, according to eyewitness accounts. Readers might remember Johnson as the soldier at the center of the Donald Trump “condolence call” controversy that occupied headlines for about a week last month as Trump feuded with a Florida Congresswoman who had been friendly with Johnson’s family.